Here is a fun experiment for the month of Halloween! This one comes from Playdough to Plato and is called 'Dancing Frankenworms!' 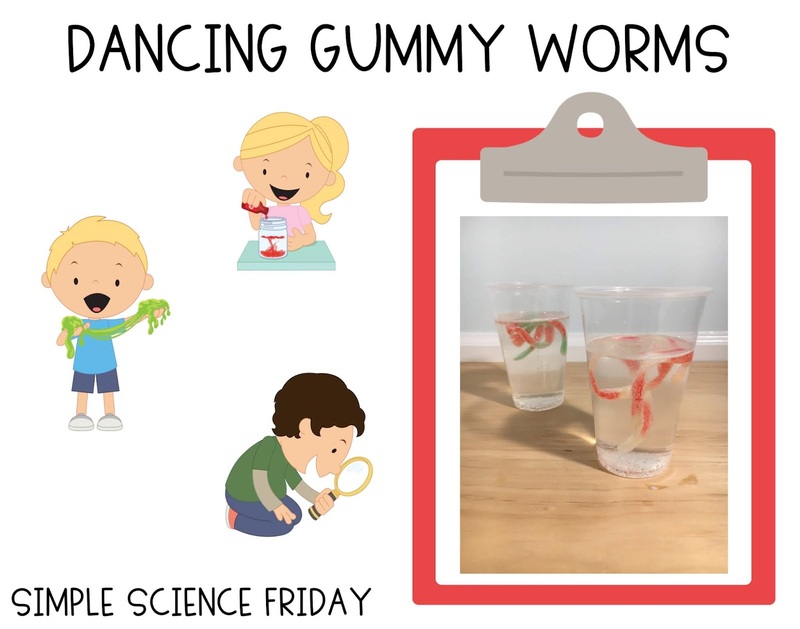 Kiddos make gummy worms come to life and watch them dance to the top of the cup! Kiddos soak the worms in a baking soda and water mixture, then add them to a cup of vinegar. 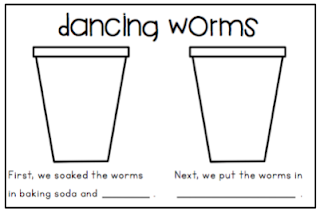 They'll be able to see bubbles form around the worms first, then slowly the worms will rise to the top of the cup! In our cups, the worms rose slowly, one at a time. And some of the worms kept bobbing around, up and down, like they really were dancing! It was really fun to watch! Worms soaking in a water and baking soda mixture for about 30 minutes. The worms go up, up, up! It's a colorful dance party! If you pour the vinegar in a little at a time, the worms will keep 'dancing' or bopping up and down. Want to pair this experiment with a book? 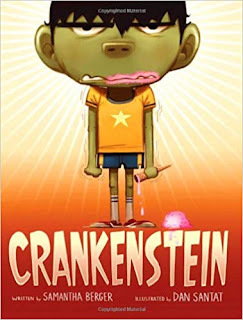 Try Crankenstein! Hey! I love your simple experiments!! Can you add an explanation as to what’s happening in terms 1st graders could understand please? Thanks so much!